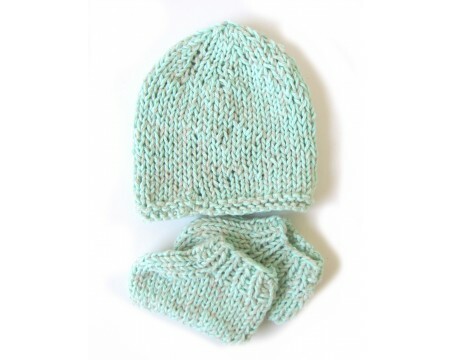 The set is made from an aqua green pastel acrylic and is very soft. The measurements for the hat are 13-14" around and 7" high. The booties foot length is 4.5". The set fits a baby around 6 months old.